With a new year comes another round of spring football practices, the setting in which veterans get to prove their worth and newcomers get the chance to show everyone what they have to offer. 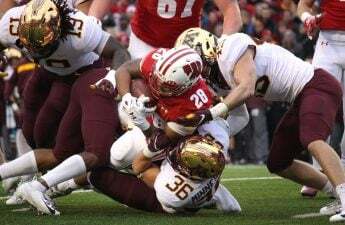 With an undoubtedly disappointing season in the background, the Badgers look to improve their established strengths and fill the gaps that have opened over the offseason. The fullback is without a doubt one of the most prolific positions for the Badgers. 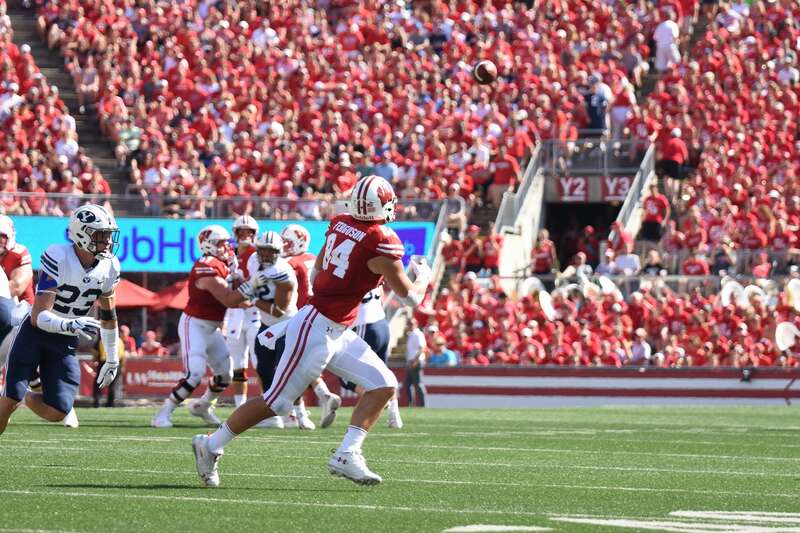 Unlike many spread offenses of the modern era, the Badgers still prefer to run a mostly classic ground and pound offense that wears down an opponent. At the forefront of this attack is the fullback. Junior Mason Stokke and sophomore John Chenal are battling out on the practice field for the right to take the No. 1 spot on the depth chart this spring. Stokke saw his first game time last year with just a few carries but averaged a promising 3.3 yards per touch. Chenal played limited time outside of special teams and will have to prove himself in this early round of spring practices to supplant Stokke. Tight end Jake Ferguson has continued to impress this spring, specifically his physical condition. In an interview with Wisconsin Athletics, former Badger standout tight end and current Denver Bronco Troy Fumagalli praised the progress of his successor. At 6 feet, 5 inches and 245 pounds, Ferguson will continue to be a force to be reckoned with throughout spring practices and hopefully into the regular season. 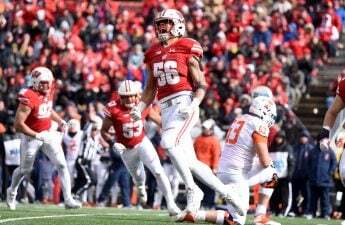 The Badger defense has been a strong point under defensive coordinator Jim Leonhard, but there are big shoes to fill this spring after the major departures of lineman Olive Sagapolu, linebackers Ryan Connelly and Andrew Van Ginkel as well as safety D’Cota Dixon. Fifth-year seniors Chriss Orr and Zack Baun are the two linebackers that Leonhard will look to this season to help fill those gaps, both in terms of skill and leadership. There are certainly big shoes to fill after the departure of key roster members on both sides of the ball. Yet, coming into spring practice, coaches feel confident that there are ample men ready to take the reins of the program. With expectations high especially considering the arrival of four-star quarterback Graham Mertz, spring practices will be the proving ground for those who wish to distinguish themselves from the pack and earn a starting spot or leadership role on next season’s squad.